In spite of the features of mobile Intel Pentium 4-M, COMMELL LV-670M are based on Intel 845GV and ICH4 chipset, and integrated with Intel NetBurst microarchitecture, 400 MHz FSB, 1 GBytes DDR266/333 SDRAM, Intel Extreme Graphics, 24-bit Dual Channel LVDS multimedia workstation, Panel PC, car PC, book-size and slim-type PC, DVR (Digital Video Recorder), STB (Set-Top-Box) and industrial compact computing platform. COMMELL is based on the ultra compact Mini-ITX form factor at 170 x 170 mm of dimension, meets the demand of compact and powerful computing platform. 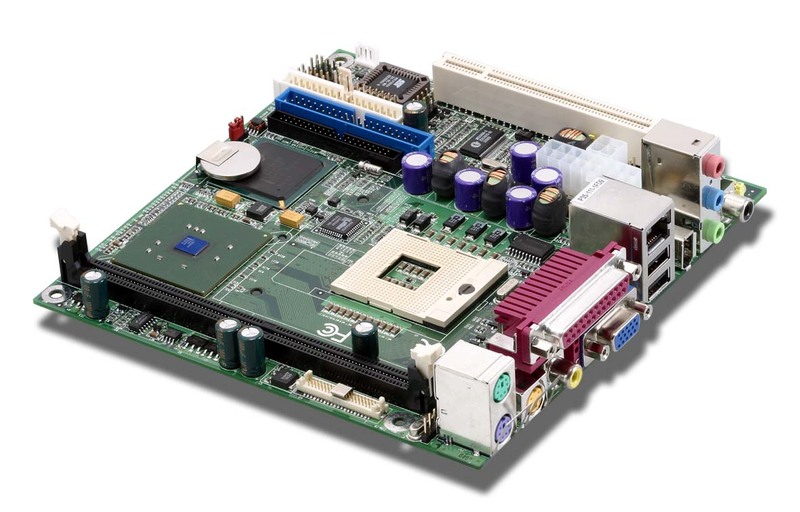 With the compact board size, COMMELL LV-670M can meet most of the industrial embedded PC application. Based on Intel latest technology on the mobile solution, COMMELL LV-670M is integrated with mobile Intel Pentium 4-M embedded CPU with Intel NetBurst Microarchitecture, 400 MHz FSB, 512KB L2 advanced transfer cache, Intel Hyper Pipelined technology, rapid n for embedded, low power, compact and mobile industrial computing platform. The advanced multimedia performance of COMMELL LV-670M comes from the embedded mobile Intel Pentium 4-M CPU, Intel 845GV chipset built-in Intel Extreme Graphics with 266 MHz VGA core, Intel Dynamic Video Memory up to 64 MBytes, and onboard AV / S-Video TV ng), video streaming, surveillance, POS, Kiosk, ATM, Panel PC, interaction and transaction workstation and terminal applications. Intel NetBurst microarchitecture, supports Intel Hyper Pipelined Technology, new Execution Trace Cache, Rapid Execution Engine, and 144 new Streaming SIMD instruction extensions.